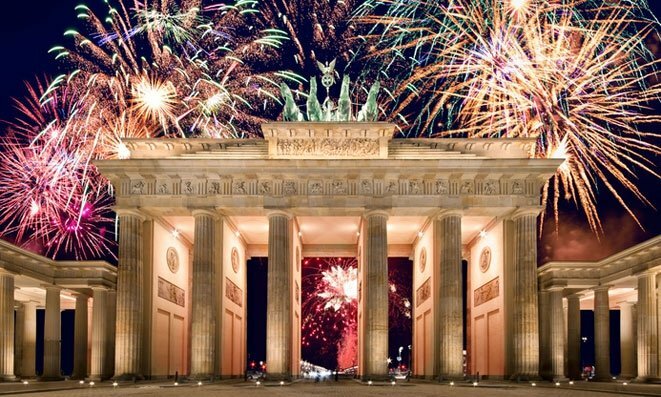 A Berlin New Years Eve celebration you won't forget! Party from the Brandenburg Gate to the Victory Column! Live music starts at 7 pm on the big stage and there are large screens all the way to along the closed-off street. Plus food vendors and plenty of mobile bar stations to get a beer or whatever takes your fancy. Best of all, this 2km long party is free of charge! Be warned, the place will be absolutely packed and full of happy people. More families there in the day, and dedicated party-goers when its dark. Officially party time starts after the fireworks finish at 12.30am, and there is no official closing time. There is of course security and bags are checked on entry. No Fireworks, bottles or sharp objects are allowed into the gated area.